A list of every tag from the currently selected entry is shown here. The tag name, the user, who created the tag, the creation date, and - where applicable - the comment are shown automatically here. 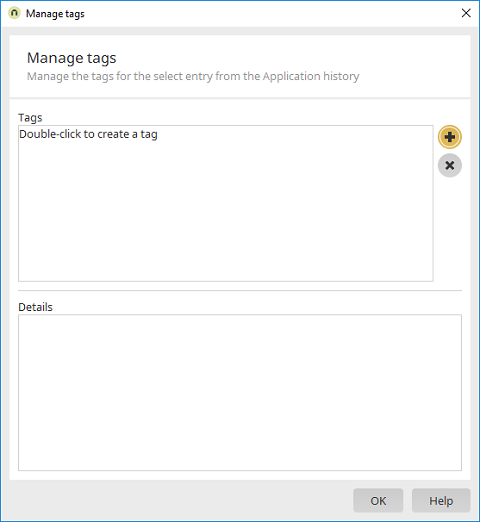 Opens a dialog where a new tag can be created. Removes the currently selected tag from the history.